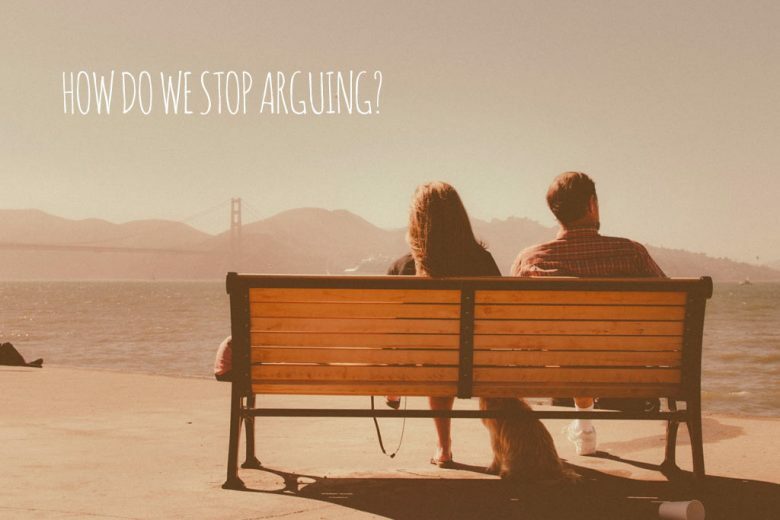 How do we stop arguing? I love my partner, but it seems lately we just can’t stop arguing. We both work and it feels like between our careers, childcare and housework we have no time or patience left for each other. How do we break out of this bad habit and learn to be nice to each other again? Meeting deadlines, staying on top of the washing and making sure there’s something other than takeaways on the table every night is stressful enough, even before you throw children into the mix. So it’s not surprising that sometimes the pressure can get on top of you and romance flies out the window. But it doesn’t have to be that way. To help you and your partner get back on track and acquire new, more positive relationship habits, try these tactics. All too often we expect our partners to read our minds, and feel misunderstood and disgruntled when they can’t. So avoid any misunderstanding by telling your partner exactly what you want from them – whether it’s doing the washing up, putting the children to bed or taking you out for dinner. Be clear and check that they have understood. Relationship issues usually have two sides. So try to be honest with yourself and admit to your own failures before confronting your partner. Showing a willingness to acknowledge your weaknesses and change your own ways too can often help take the confrontation out of a situation. Once you start seeing your partner’s mistakes (and we all have them!) it’s so easy to just see the negatives. Instead make an effort to balance your concerns with a positive view of your partner. If they’ve done a great job cleaning the kitchen but forgot something on the shopping list, overlook what wasn’t done and praise their other efforts. We all know money is a major reason why couples split up, and there’s really only one way of dealing with this. And that’s to budget! Whether you prefer to write it down, or use a spreadsheet or app, just make sure you regularly spend time together discussing priorities and expenses and have a clear agreement of how and when you can spend. We’re not suggesting you settle for second best or tolerate unacceptable behaviour, but instead of demanding perfection, comparing yourselves to other couples or expecting fairytales, be realistic. Know your own worth and learn to ask for more through effective communication rather than making constant demands. You don’t have to live in each other’s pockets, but don’t fall into the trap of leading parallel lives. Take an interest in your partner’s life and check in with each other regularly, even daily. Put the tablet, phone and remote out of reach and really tune into each other during this time. If you can, arrange a babysitter every couple of weeks or once a month and enjoy a date night together to connect and remind yourselves why you fell in love in the first place. If something your partner does or says (or doesn’t do or say) upsets you, by all means let them know how you feel, but try to avoid being personal. Stay focused on the issue and how to resolve it. You could try using less accusatory language too, for example saying ‘When you did (this) I felt like (that)’, instead of ‘You made me feel…’. Like any new habit, it may take a while for you to get used to thinking and acting differently, but if you and your partner make an effort to eliminate old, less constructive ways of relating, and practise new, healthier ones, you should soon start to see a positive impact on your relationship. Ann Corrigan is the founder of Clarity Family Law, a specialist family law firm in Buckinghamshire.